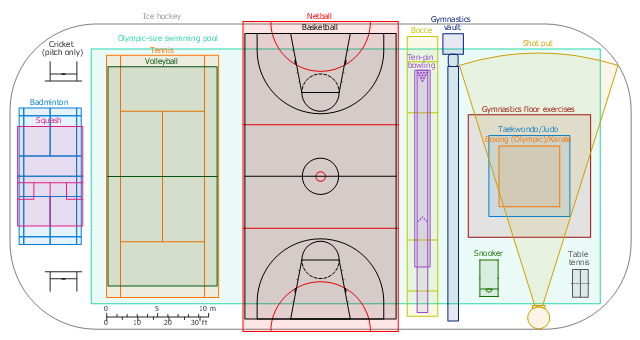 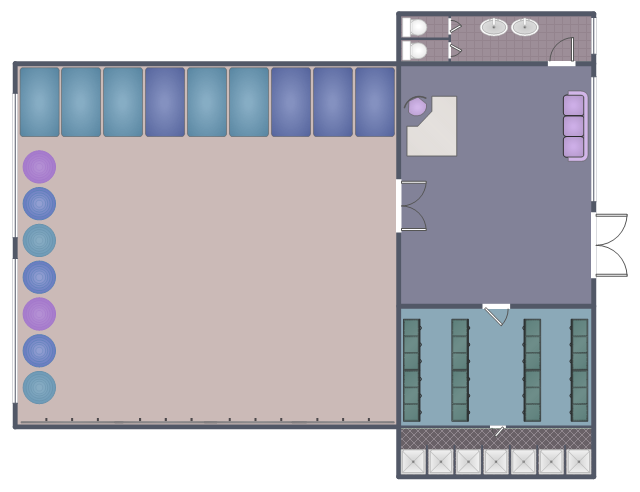 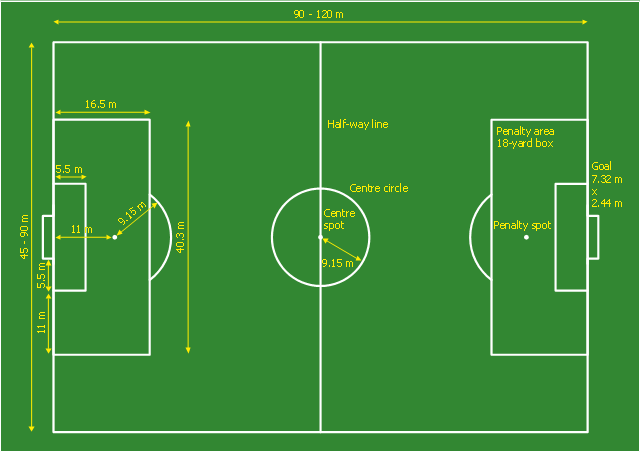 This sport playground plan sample shows the layout of recreational equipment on the play area. 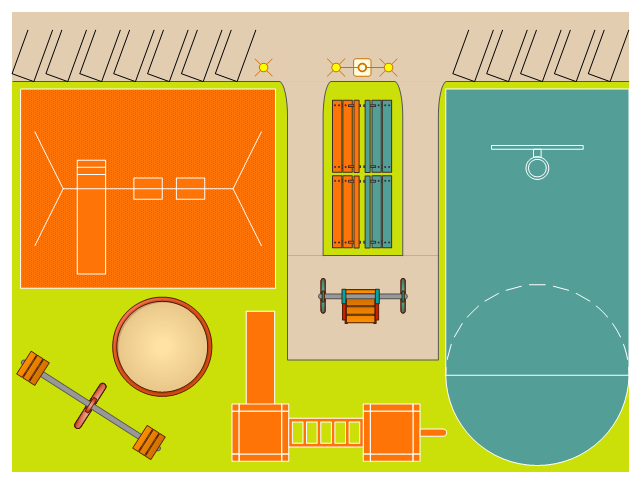 Modern playgrounds often have recreational equipment such as the seesaw, merry-go-round, swingset, slide, jungle gym, chin-up bars, sandbox, spring rider, trapeze rings, playhouses, and mazes, many of which help children develop physical coordination, strength, and flexibility, as well as providing recreation and enjoyment. 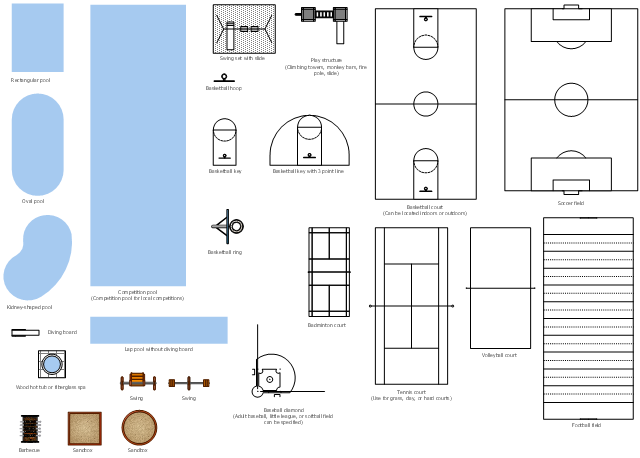 Common in modern playgrounds are play structures that link many different pieces of equipment.